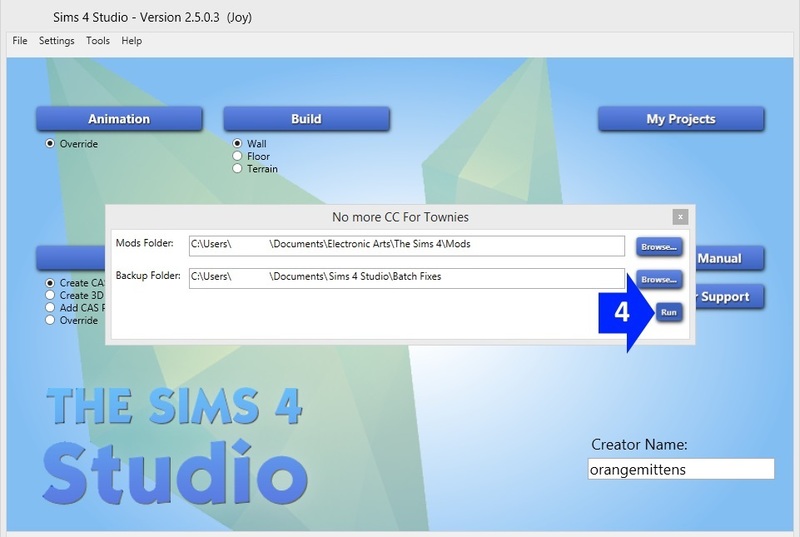 This tutorial will show you how to use Sims 4 Studio to batch fix your custom content CAS items so random (townie) Sims will not use them. This batch fix will change every single CAS.package in the folder it is pointed at so, if there are items you want your townies to wear, put those in a different folder than the one you use this batch fixer on. 1. 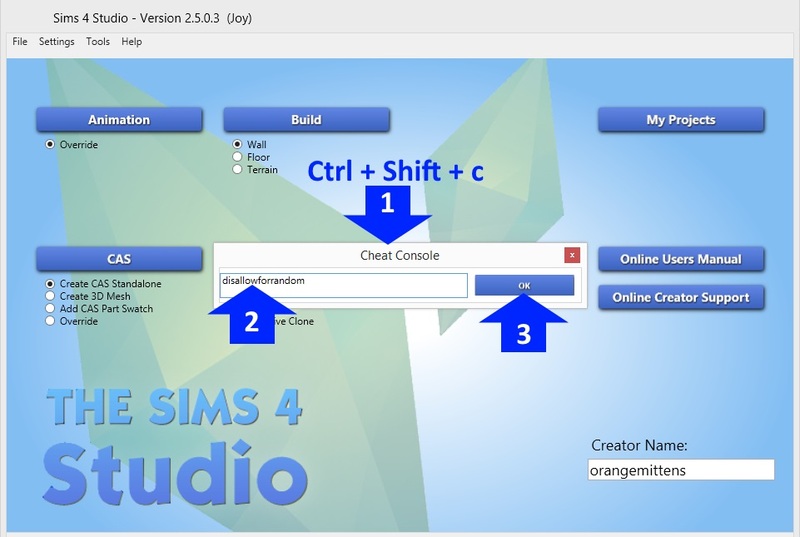 Open Sims 4 Studio and click the Ctrl key, the Shift key, and the c key on your keyboard all at the same time. This will make the Cheat Console pop up. 2. Type disallowforrandom into the text box as shown. 4. The No more CC for townies box will pop up. 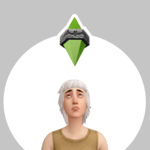 - By default it is aimed at your Sims 4 Mods folder. If you want to limit the scope of the batch fix you can move everything you want fixed into a different folder and browse to that folder instead. - Studio will make a back up folder which contains all the items it fixed in their original form. By default these are placed in your Sims 4 Studio mods folder in a folder called Batch Fixes. If you want you can browse to a different location and save them there instead. Once you have the settings how you want click the Run button. Studio will then go through every .package in the folder you've told it to batch fix and take the check mark out of the Allow For Random tag box. When it's done a Results box will pop up telling you how many .packages were fixed, how many it couldn't fix, and how many didn't need fixing. And you're done If you have any questions about, or problems with, this process please post in this thread. Ohh, yes. Thanks very much! OMG...Awesome feature.... No more townies wearing hair and clothing CC that looks stupid on them. This is fantastic, thank you! I like to makeover all my townies, but before I get to them I see some gawdawful monstrosities wandering around. Now I can make sure townies are spawned in game clothing, and modify them at my leisure. Pardon my ignorance, but presumably this will work on skins, overlays, makeup etc as well as clothing? Or will genetics be handled differently? I have default berry skins installed, that appear with the other default skintones - will they be a special case and not be affected by this? I haven't worked with CAS cc before so I'm not sure how it is handled. Thanks for the fast reply, om. 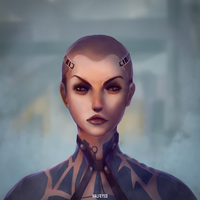 Ah, by overlays I meant skin details - thanks for clarifying. I suspected skintones wouldn't be affected - that's fine, the most egregious problems I have are when berry skintones end up paired with some of the blush makeups and skin details I've downloaded, so at least I can set those to disabled for random. This is perfect! Thank you! I would imagine it must be run every time we add new cc, correct? Are they're any other batch fix commands? For instance, I would like all my custom content to not be the default for their body type. I really want to know if there's one for that issue because I dislike having to go through them all and uncheck the option per part. This is so awesome! Thank you! I do a lot of modeling competitions on the forums so I download some stuff that looks pretty weird for normal wear lol. Is it safe to delete the Batch Fixes folder?